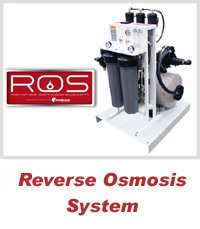 The AS-ROS Commercial Reverse Osmosis System features a compact free standing design, excellent pre-filtration and high quality components. 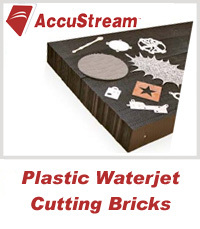 Accustream Waterjet Cutting Bricks are specially designed to assist in the cutting of difficult parts. 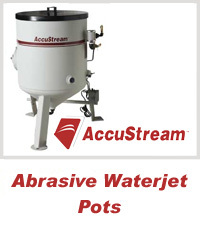 AccuStream Abrasive Pots are a cost effective solution for adding waterjet cutting capacity and replacing existing waterjet cutting machines. 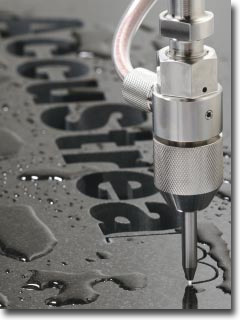 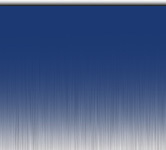 A very important factor for cutting edge quality is the accuracy and stability of the abrasive flow rate. 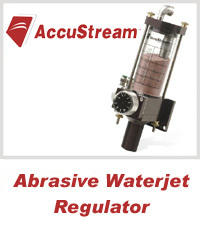 The AccuStream Regulator II is designed to ensure peak cutting performance.